There is one human, only one person, whom death could not hold. Its grip fell off, its chains lay on the ground. On the day Jesus, Yeshua, walked out of the grave, our lives and our world changed forever. “And if the Spirit of him who raised Jesus from the dead is living in you, he who raised Christ from the dead will also give life to your mortal bodies because of his Spirit who lives in you.” (Romans 8:11 NIV). Have a wonderful Resurrection Sunday! 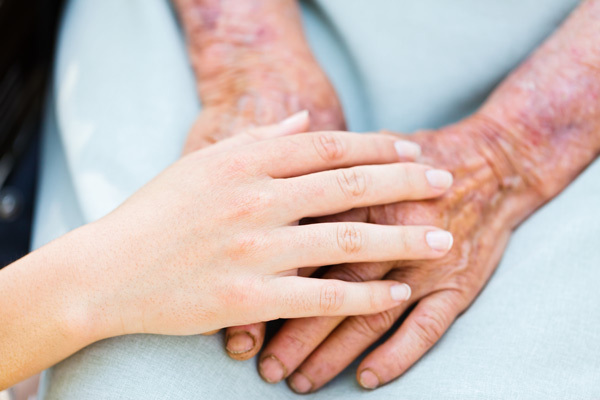 Do you ever feel the Holy Spirit has touched you to speak to people to share life-changing wisdom that could impact and/or help save another? I feel honored and blessed to share what I have received. I believe it will bring greater clarity to one’s mind, body and soul. Most people in life don’t realize what they are bound by—they think it is the everyday world that holds them. Not that it doesn’t contribute, but in working with others I find strongholds of the mind to be one of the most powerful things that keeps people down (2 Cor 10:4). It puts a lock on everything till fear is the ultimate driver, and reliving the past hurts and mistakes are often an everyday occurrence. The simplest things become overwhelming burdens. 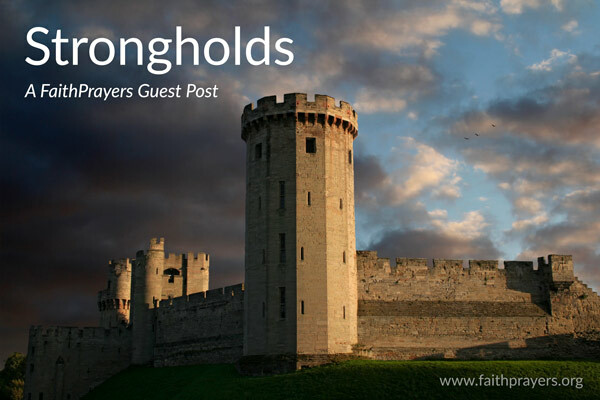 The mental replay that strongholds create in one’s mind is quite powerful and puts one on a never-ending rollercoaster. It is almost like one is being held under water and never let up for a breath. I find declaring your identity in Christ through declaratory statements, praying according to the Spirit, and reading healing books related to standing on the Word are just a few of the things that can start to unlock the holds. A breath of light is allowed to seep in to break the stronghold chains, and finally asking for God’s love to cover your wounds with his precious blood is the ultimate balm. Troubled times have been in this world for centuries. So have times when goodness prevailed. When troubled times come to our little piece of the earth, it often seems to us that the whole world is in trouble. Conversely, when things are going wonderfully for us, it seems the whole world is bright, and it’s easy to forget that other people, in other places, may be in serious distress, even starving and dying. But, one thing’s for sure, when those troubled times do come our way we are often drawn to lash out in destructive activities. Especially when we see evil being done, it’s often our inclination to return in kind. To engage in the very evils we hate. Sometimes, individuals who intend to stand for something positive or right can lash out with derision and name-calling, bullying, and even threatening behaviors, all in the name of what they believe to be “good.” Yet that will fail. All that is accomplished is increasing the energy flow of evil, because one of the oldest premises in the world is that you do not defeat evil with evil. 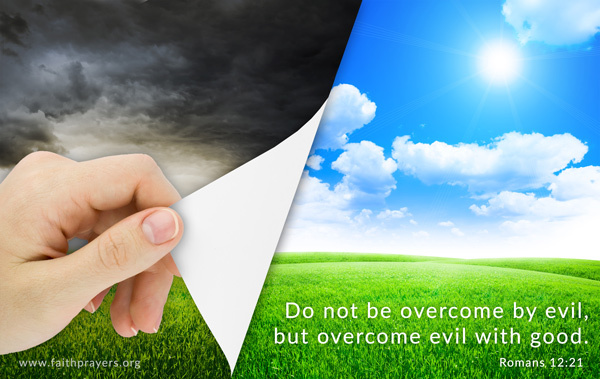 The Bible (Romans 12:21) says “overcome evil with good.” Many other belief systems say the very same thing, though the phrasing may be different. The good and the positive is a powerful force. It can, and over and over it has, defeated evil. Unfortunately, sometimes people have stood by and waited far too long to wield the good, and evil has persisted, or they have been passive about the lightening power of the good. Yet when that power of good has finally arisen and been unleashed, it has many times in history quelled the forces of evil. It’s old knowledge. It works. The words translated peace in both the Hebrew Scriptures and the New Testament come solidly from the root word meaning completeness. There is no serious disagreement among scholars as to that. It also carries with it the meaning: to be sound. It includes, in its various forms of noun, verb and adjective: wholeness of body and life, right relationship with God and other people, safety, success and fulfillment, and the victory of having absence of strife with enemies. There is a huge chasm between the peace (the shalom), of Scripture, and complacency or passivity. 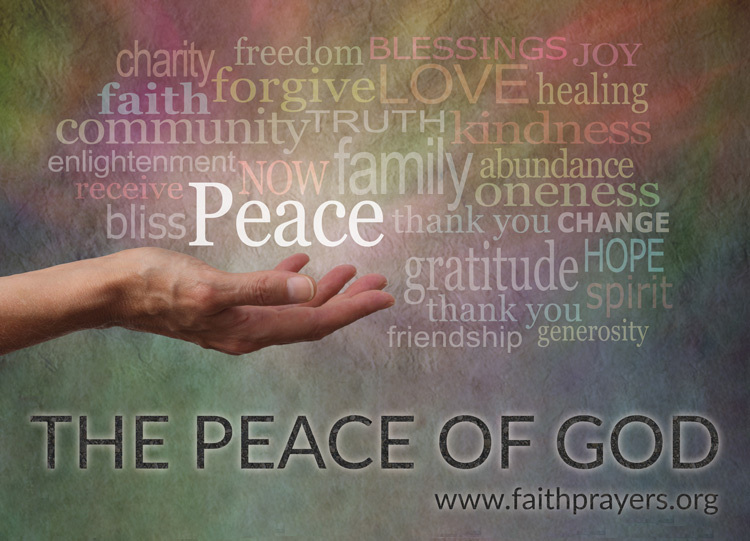 Nowhere in Scripture is peace equated with those words. Thank you for being a part of the FaithPrayers family this Easter! 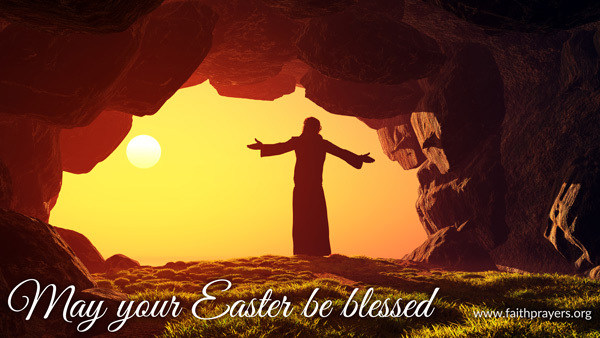 The FaithPrayers National Prayer Line wishes you and yours a beautiful and life-giving Resurrection Sunday. May you and all those you love be blessed this day! The verses above are the words of the Apostle Paul, writing to his friend Philemon. This letter of Paul’s is very short—twenty-five verses in all. In it, Paul also mentions the gathering of believers that met in Philemon’s home. Scholars think Philemon was a wealthy person—believers (who at that time met in homes and not in ‘church buildings’), often gathered in the richest person’s home in their group, since that home would have the most room. I recall from my own childhood a family who was building a very nice home in a new subdivision, and before the interior was finished, a new church formed in their area with nowhere to meet. So, this family simply stopped work on what was to be their beautiful new living and dining area, and turned it into a meeting room for as long as the members needed. That memory has stayed with me for the rest of my life.